Like a sweet, crisp apple? Forget those supermarket Honeycrisps. 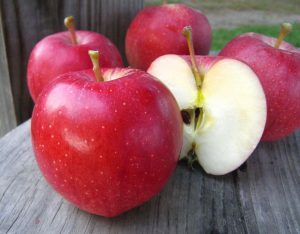 Pick and nosh on New England’s own sweet perfection: the Red Jonagold. Primarily an eating apple, RJ’s also make delicious sauce and a sweet component to any pie. Pro tip: Don’t ask us about Honeycrisp.